With a very successful Western Camp in Airdrie, AB in the books it was time to see what the riders in the East could do. 13 riders were selected and made their way to Kingston Ontario for the Eastern camp. This camp had the same focus as the Western camp. 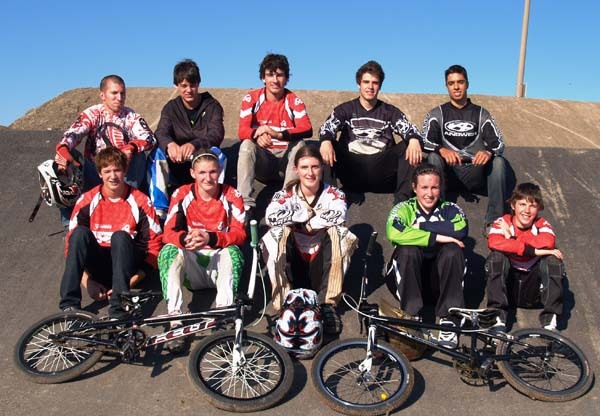 The focus and goal of the camp was to identify the pool of riders for the National BMX ID Team aiming at London 2012 and beyond. There were riders from Quebec, Ontario, Alberta and one from Florida (originally from Ontario but now living in a warmer climate). The camp had a fairly large age range with athletes from 15-25. A total of 10 male and 3 female were on hand in Kingston. The Kingston track will be the site of the National Championships in June and was the reason the track was selected. 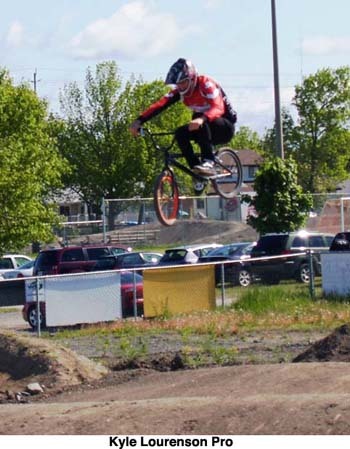 The weather during the week was awful - very wet with 5 straight days of heavy rain making the track almost unrideable on Friday, so this was a great chance to get all the physical testing done at Queen's University. First the riders went through a series of tests and then put through a very informative strength and conditioning session. The rain continued throughout the day and the possibility of a washout on Saturday was a high possiblity. Day 2 started once again with rain, the track was very wet but with some great work from Track Director, Todd Harper the track was ready to go after lunch. We put all the athletes through some CCA standardized sprint tests and some skills evaluation exercises. The focus of the day was to analyze technique and collect some speed data and both of these were achieved despite the early rain set back. Upon completion it was time for a photo and home for some rest. Day 3 started with sunny skies and a nice dry track, the group started with some jumping evaluation and some rhythm section work. With some high winds before lunch the group was in tough to try and practice the big Elite section. The Females were evaluated on their jumping technique through the last straight and the first step up. The Male athletes were tested on a one big step up and some large rhythm section doubles. After lunch the group was tired from the morning session. However spirits were high despite some burning in the legs so the group was put through some skill drills, pack riding and some obstacle selection activities. After a quick snack it was time to finish up with some gate practice, this is when the wind and hail arrived. The wind was so bad that athletes were 'moving' 2 feet up in the air……time to shut it down! This was a great camp despite the weather and it was a great chance for athletes to meet as a group, get some quality riding in a high level environment and put their names into the pool for National Team selection this year.